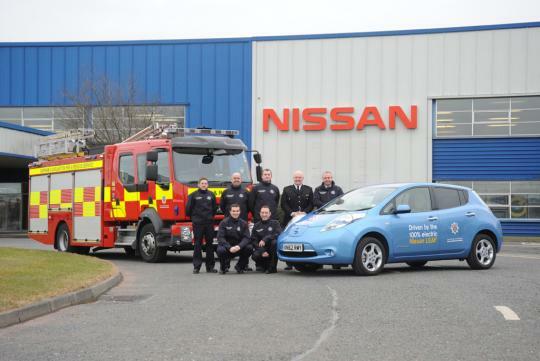 Law enforcement teams, firefighters and medics across Europe are adopting the all electric Nissan Leaf as a key frontline emergency support vehicle. 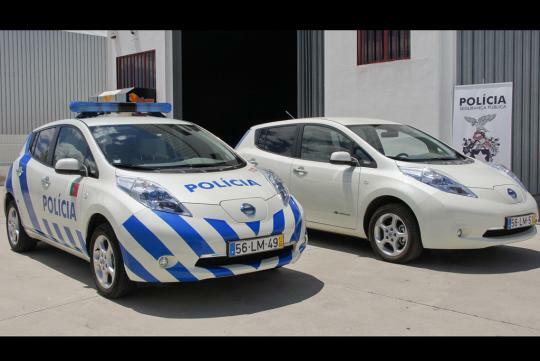 Emergency services in Portugal, France, U.K. and Switzerland have deployed Leafs as community support vehicles, with a number of other countries considering making the switch to battery power. 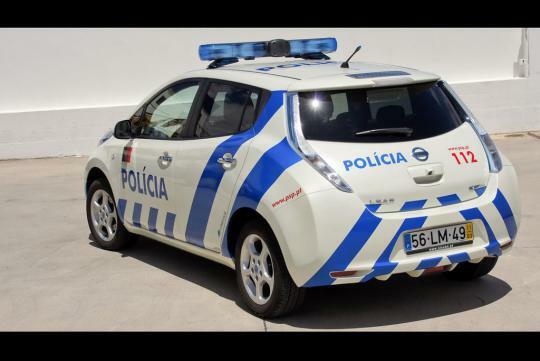 The first force in the world to go electric was Portugal's PSP (Pol�cia de Seguran�a P�blica), which has been running eight Nissan LEAFs as part of its Safe School Program for the last year. 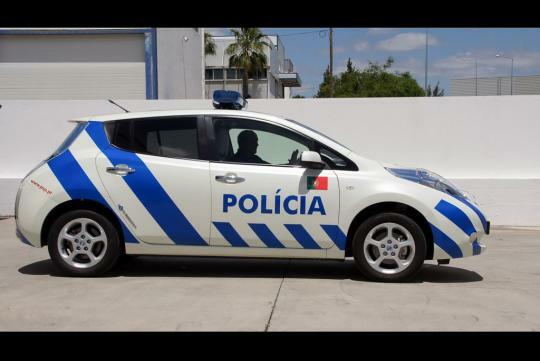 Fitted with blue flashing lights, sirens and clear �Pol�cia' markings they can also perform other police duties at any time. 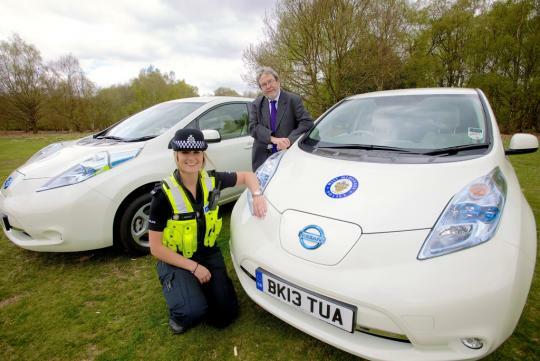 Superintendent Paul Gomes Valente, National Director of PSP, said, "We pride ourselves in being the first police force in the world to incorporate cars with zero-emission technology as part of our 5,000 vehicle fleet. We want to continue contributing to the reduction in pollution in large urban centres and the introduction of the 100 percent electric Nissan LEAF sets a new benchmark for our fleet." 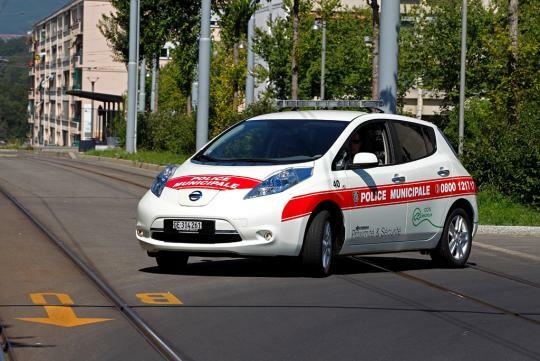 Well more than saving the environment, doesn't the use of the Nissan Leaf for daily operational needs also demonstrate the quality of the cars? Logically I�m sure the Nissan EV�s respond to a high number of cases on a daily basis. And unlike vehicles that are purpose built, these are modified. 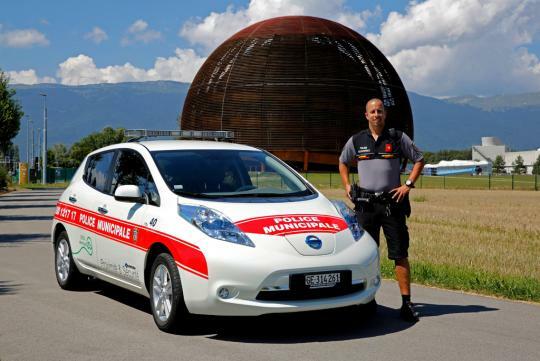 I�m quite amazed the Leaf EV � envisioned as a practical, green motoring vehicle can also be adapted for law enforcement and emergency medical and fire fighting services. Perhaps we can replace the Hyundai Avante patrol cars or the fast responder bikes from SPF and SCDF respectively in the future? More than helping people, it is also encouraging to see servicemen � and to an extension the government � helping Gaia too. A range of 199km with a charging time as quick as four hours does sound practical in our island � provided the cars can perform in our lard melting temperatures. But I believe a major problem is lack of infrastructure. Every fire station and police post needs to be retrofitted with a charging station and charging the cars will be expensive, won�t it? Unlike most western countries, or even Japan, Singapore does not us Nuclear power for electricity or hydro turbines that converts water energy into electricity so in the short run, �refuelling� the EVs with electricity instead of petrol could be costly.